Bone conduction technology in headphones explained. How do you hear by bone conduction? What were the first bone conduction audio devices? What were the first bone conduction headphones for consumers? Are conduction headphones good for the hearing impaired? Are bone conduction headphones dangerous? Bone conduction is the transmission of sound through skull bones to the inner ear (Cochlea). Every healthy person can hear through bone conduction including hearing impaired. In fact, a large part of how you hear your own voice is through bones. It’s also the reason why your voice seems different to you than to others (if you record yourself you’ll sound different). Why my voice sounds different to others? Your voice seems deeper and fuller to you because bone conduction transfers lower frequencies better. If you listen to a recording of your voice, it will sound higher than what you expect. Regular headphones create sound vibrations through pushing air. These vibrations then travel to your ear canal reaching eardrums that send the signal to the brains at the end. Bone conducting headphones work slightly differently. 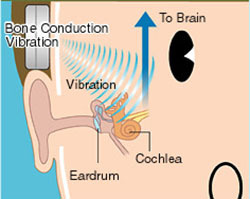 They don’t use the air conduction but skip directly to sending vibrations to the inner ear by using bones. The headphones create vibrations that the inner ear can understand. They take the music and calculate the right waves that will be “heard” by the Cochlea the right way. The inner ear hears differently than eardrums, so the vibrations have to be different. If you put bone technology headphones next to your ear, you wouldn’t hear the music because the eardrums aren’t sensitive to their signal. You need to keep them touching the bones of your skull, usually temple and cheek, for the sound to reach the inner ear. The sound is a vibration that people can hear with eardrums through the air. After eardrums “hear it” they send the sound vibrations inside towards the inner ear (Cochlea) that transfers the vibrations to an electrical signal brain can understand. Normal hearing uses air vibration and eardrums as the first step to transmit sound. Conduction headphones have to touch the bones (and skin) to transmit the sound vibrations towards the inner ear without using eardrums. Therefore, the headphones with electromechanical transducers figure out how to transmit the electric signals into vibrations that the inner ear can understand, omitting the eardrums. 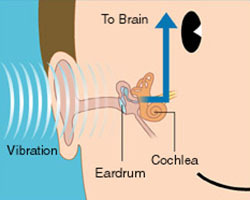 The vibrations go from headphones to the inner ear through bones, after the inner ear, the brains “hear” the sound. One disadvantage of conductive method is a slight lack of bass in sound quality. The fact that bones can transmit sound was discovered much earlier than its first application (in the 1500s by a man called Girolamo Cardano). 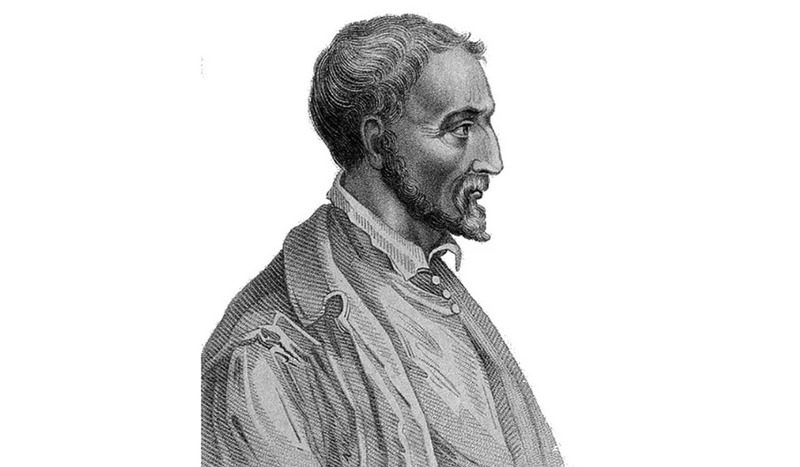 Girolamo Cardano discovered bone conduction in the 1500s. The first known use of bone conduction was in the 18th and 19th century by a famous German composer Ludwig van Beethoven. He composed music by biting into a rod attached to his piano so the vibrations would travel to his inner ear through the rod and bones. He created many classical masterpieces by using this method. The first modern bone conducting hearing aid or bone-anchored hearing aid (BAHA) was implanted in 1977 by a Swedish doctor Anders Tjellström. Today, you can find external and internal hearing aids that use bone conduction successfully. Today, many modern gadgets use bone conduction. You can find them in headphones but also wearable tech like Google Glass that send sound to the wearer through bones. This kind of communication is basically impossible to detect by an outsider while keeping the wearer perfectly aware. It’s used in military technology for communication in the field as well as for professional sports. The advantage is the ability to communicate with your team in harsh conditions like on a yacht race in the middle of the sea or inside a busy office building while keeping your hearing ability, so you can listen to music, videos, or talk to people next to you. The first audio devices using bone conducting were developed in the early 19th century. In March 1935, arguably the first patent for such an invention was issued. It was a telephone with bone conduction instead of a regular speaker. In the next couple of decades, many different devices were invented. In 1957 a pilot helmet that enabled communication next to thunderous jet engines was patented. The first radio and music player came in the 1980s. It was meant for sports so the people could still hear their surroundings while active. The wired from the audio player were attached to collarbone so conducting was used. And, according to the USA issued patent, the first bone conduction headphones were patented in 1994 by H. Werner Bottesch. It works and looks very similar to modern bone conducting headphones. After the patent for the first bone conduction headphones was issued in 1994, the consumers got their first model in the same year. The headphones even had a bit of custom equalizing to improve their sound quality since bones don’t conduct all frequencies equally. Today, you get to choose from a wider variety of bone conduction models though one company stands out. AfterShokz is probably the most popular brand in this category. They’re offering great workout headphones for all sports, including running and swimming. There are pros and cons to every type of headphones, but one thing stands out. The biggest advantage of bone conducting headphones is the ability to allow perfect awareness while listening to music. Regular headphones and earphones block the ears creating passive isolation from the background noise. This is great if you’re commuting on a busy train, but for sports, it’s often inconvenient. 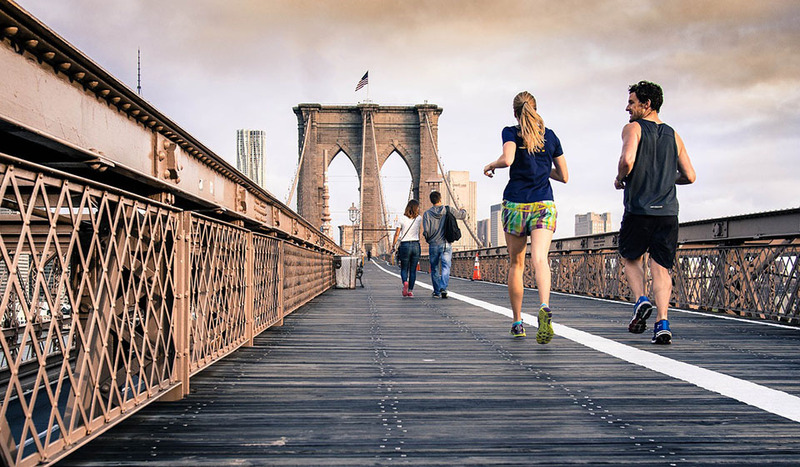 Running in urban areas requires great awareness. You probably know how annoying it is to have to pause music or take off your earbuds when you want to talk to someone. With open-air headphones which is what conducting headphones are, you don’t have this problem. You can talk to your gym buddy while listening to your favorite motivational music. You can take a run in the streets with music and keep perfect environment awareness. It’s useful in every situation where safety and communication are a concern. No other type of headphones can do this. Conducting headphones don’t stick inside your ear canal like in-ear headphones but rest on the outside of your head creating a comfortable fit. They are a great alternative to earbuds that often irritate the ears. There are a go-to choice of many athletes. Bone conduction headphones are a great alternative for people with conductive hearing loss, single-sided deafness, and for people with in-ear hearing aids. Bone conduction successfully bypasses the problems in the outer ear, eardrums, and middle ear (ossicles). So people with impaired hearing in these areas can listen to music and videos. But, if you have problems with inner ear (Cochlea) or auditory nerve, then bone conduction won’t work for you. Bone conducting headphones are perfectly safe as long as you follow basic safety rules. 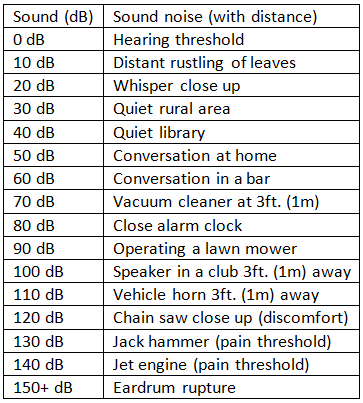 You can still increase the volume to unhealthy levels resulting in noise-induced hearing loss. Volume over 100 dBA causes permanent hearing damage after only 15 minutes per day. You can read about safe headphone use here. The most established among bone conducting headphones are AfterShokz headphones. They’re offering different models from wireless Bluetooth to wired, but others aren’t far behind. 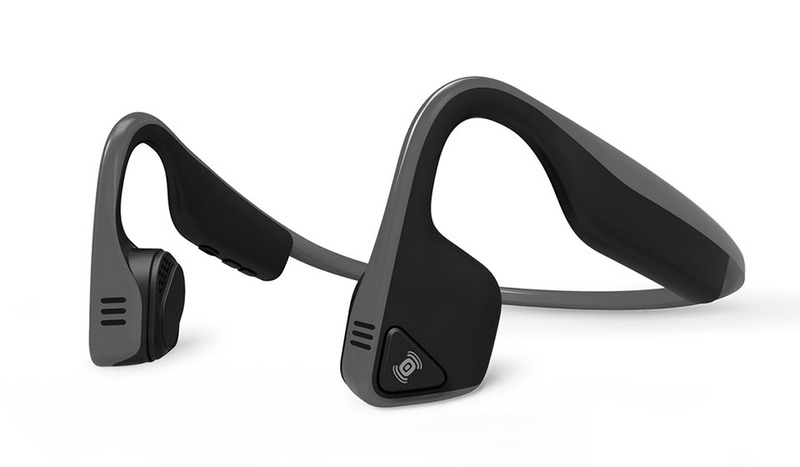 So, you want to know what the best bone conduction headphones are right now? 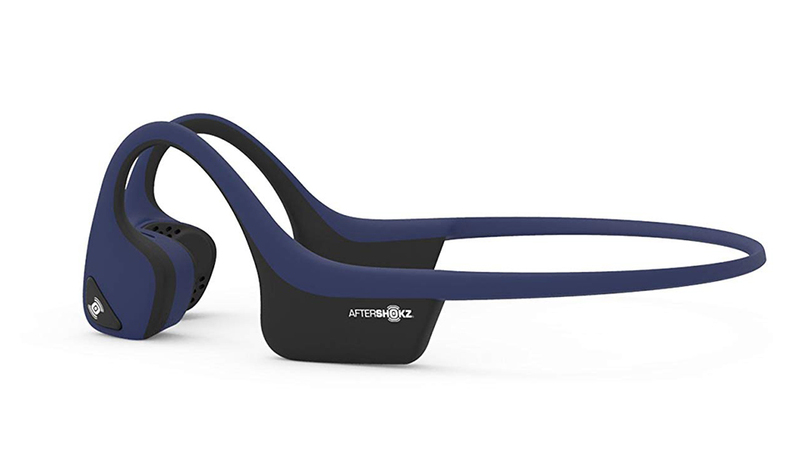 You should check the AfterShokz Trekz Air. These open-air headphones are the flagship of the brand and offer the best performance in the category. They have the longest battery life (and standby time), great ergonomics that’s lightweight and stays on the head and the latest Bluetooth—you can make phone calls too. Read more about top models here. What are the most affordable conduction headphones? If you’re looking for something under $100, you should check the older model from AfterShokz headphones. Still Bluetooth and sweatproof (IP55) with reliable performance, good sound, and stable fit. The AfterShokz Trekz Titanium offer the most value for the money. Though you can find cheaper bone technology headphones, they don’t offer as many features and the same performance (no Bluetooth, short battery life, worse durability). Trekz Titanium is a proven product with many happy customers for a discounted price. Are there any bone conduction headphones for kids? Currently, there are no decent bone conduction headphones for kids. Most are made for adults and thus won’t fit on a smaller child’s head. Big headbands won’t fit on kids so bone conduction won’t work correctly. If your kid is a bit older and has a bigger head, regular headphones might fit him/her. But there are no guarantees. Plus, there is another problem. Dedicated kids headphones have a volume limiter to keep the child safe from noise induced hearing loss at higher volumes. Adult bone technology headphones don’t have that and are thus less suitable for little kids. You can always check the best headphones for kids that are safe, fit well, and look cool, here.